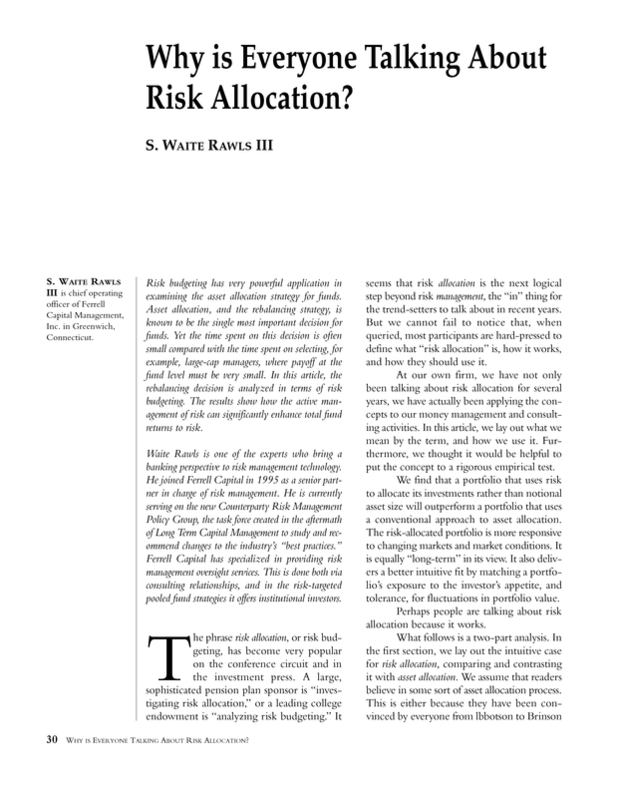 Why is Everyone Talking About Risk Allocation? is chief operating officer of Ferrell Capital Management, Inc. in Greenwich, Connecticut. You are going to email the following Why is Everyone Talking About Risk Allocation? WHICH WORKS BETTER, ASSET ALLOCATION OR RISK ALLOCATION?